Old Ruts:Home/Uncategorized/A big Ruts welcome to Dan Sharples! A big Ruts welcome to Dan Sharples! We’re delighted to announce that Dan Sharples will be joining us from April as our 2018 overseas player. 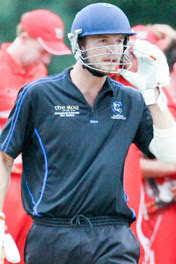 Dan is a kiwi batsman playing for one of New Zealand’s strongest clubs, St Albans. Sharples moved from former club Kaikorai, to St Albans mid-way through the 2016/17 season and, in the current season is one of the club’s leading 1st XI batsman. In-fact, after the first two rounds of the Christchurch Metro Premier Men’s Two-Day competition, he is the leading run-scorer with 173 runs at 57.67. As our 1st XI prepare to compete and push for promotion in Division 3 of the Surrey Championship we are delighted to welcome Dan to the club and wish him well for the season ahead.